Since the entrance of sin, life is a daily encounter of problems and difficulties. From birth to death, our lives are centered around solving problems, and during this difficult journey, we all want to live victoriously. The Bible says there is no power within mankind. The human heart is full of anxiety, fears, selfishness and complexities. The best path is to take your eyes off of yourself and fix them on God. Believe in Him. Trust Him. Each day, this devotional gives a verse and shows that, you can draw advice for today from the Bible suitable for facing the circumstances of life. 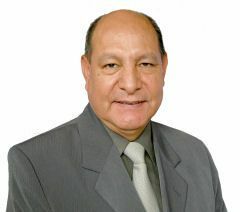 Written by well-known evangelist and author, Alejandro Bullón, this is the 2011 Spanish adult daily devotional.